Jody Williams received the Nobel Peace Prize in 1997 for her work to ban landmines through the International Campaign to Ban Landmines, which shared the Peace Prize with her that year. At that time, she became the 10th woman in its almost 100-year history to receive the Prize. Like others who’ve seen the ravages of war, she’s an outspoken peace activist who struggles to reclaim the real meaning of peace—a concept which goes far beyond the absence of armed conflict and is defined by human security, not national security. Williams believes that working for peace is not for the faint of heart. It requires dogged persistence and a commitment to sustainable peace, built on environmental justice and meeting the basic needs of the majority of people on our planet. Since January of 2006, Jody Williams has worked to achieve her peace work through the Nobel Women’s Initiative, which she chairs. Along with sister Laureate Dr. Shirin Ebadi of Iran, she took the lead in establishing the Nobel Women’s Initiative, and was joined by sister Laureates Wangari Maathai (Kenya), Rigoberta Menchu Tum (Guatemala), Betty Williams and Mairead Maguire (Northern Ireland).  The Initiative uses the prestige of the Nobel Peace Prize to magnify the power of women working in countries around the word for peace, justice and equality. In 2007, Williams led a contentious High Level Mission on Darfur for the UN’s Human Rights Council. She presented the Mission’s hard-hitting report to the Council in March of that year and continues to be actively involved in work related to stopping the war in Darfur. Since 1998, Williams has also served as a Campaign Ambassador for the International Campaign to Ban Landmines. Beginning in early 1992 with two non-governmental organizations and a staff of one – Jody Williams – she oversaw the Campaign’s growth to over 1,300 organizations in 95 countries working to eliminate antipersonnel landmines. In an unprecedented cooperative effort with governments, UN bodies and the International Committee of the Red Cross, she served as a chief strategist and spokesperson for the ICBL as it dramatically achieved its goal of an international treaty banning antipersonnel landmines during a diplomatic conference held in Oslo in September 1997. Williams continues to be recognized for her contributions to human rights and global security. She is the recipient of fifteen honorary degrees, among other recognitions. In 2004, Williams was named by Forbes Magazine as one of the 100 most powerful women in the world.